Are you someone who likes to tackle complex technical challenges? As a Consultant at Deloitte you can help build and deliver technology solutions to meet clients’ business needs. 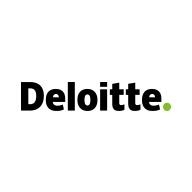 A Consultant gains exposure to multiple technologies while delivering engagement specifics under the full breadth of services offered by Deloitte Consulting LLP. A Deloitte Consulting's technology professional helps clients identify and solve their most critical information and technological challenges. Our experienced technology professionals offer deep technical experience in their area of focus and are committed to delivering efficient, technology-based solutions to our clients. As a core Dell Boomi Integration team member, you will work within an engagement team to define, develop, deliver and support Integration Processes on Dell Boomi integrating multiple Cloud and On-Premise Applications that help our clients solve problems, expand market share, improve operations, and grow their business. 14. Knowledge of Amazon Web Services(AWS) and APIs.